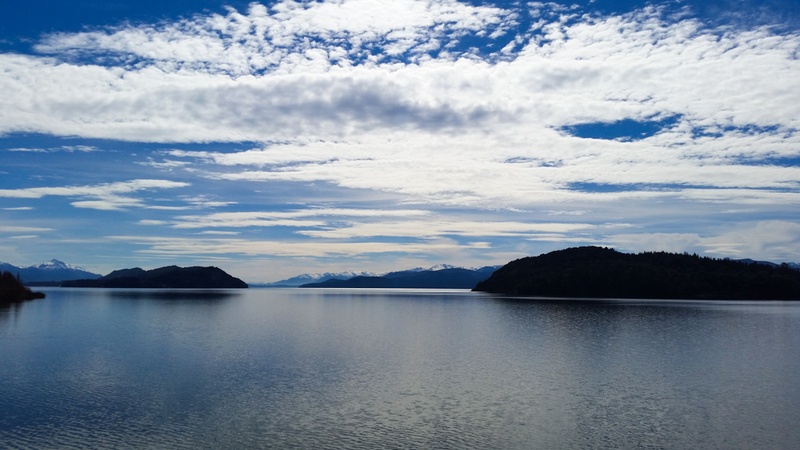 Have some down time (read: surf isn’t good today) and thought I’d share a post about my leaving Bariloche and heading to Chile. After hiking back to reality from Frey everyone was down for what Argentina does best: a big steak cooked at a Parilla. 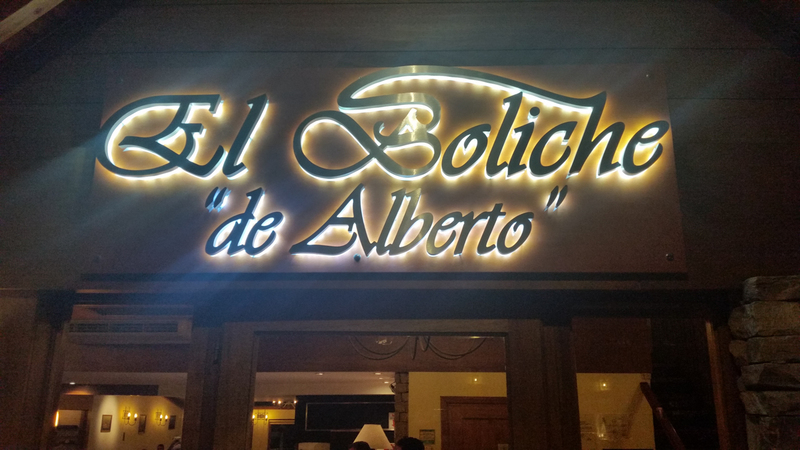 If you are in Bariloche then the go-to spot for a charred hunk of meat is El Boliche “de Alberto”. 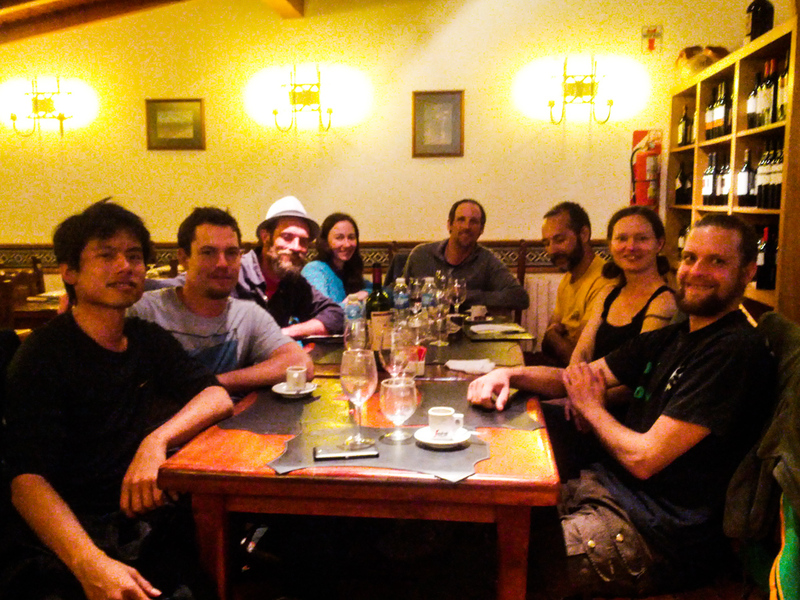 The entire crew ate dinner there and followed it up with a few beers. The next day I had just one goal, to buy a bus ticket. My plan was to head to Osorno, Chile and along the journey decide if I wanted to head to Nevados de Chillán for more snow chasing at the mountain in South America that consistently receives the most snowfall (it’s like the Mount Baker of the Andes) or if I should head to Reñaca where my cousin Matti lives. The economic turmoil in Argentina leads to frequent strikes one of which was scheduled by bus drivers for the next 2 days, but the Chilean companies were still operating, so I was good to go. 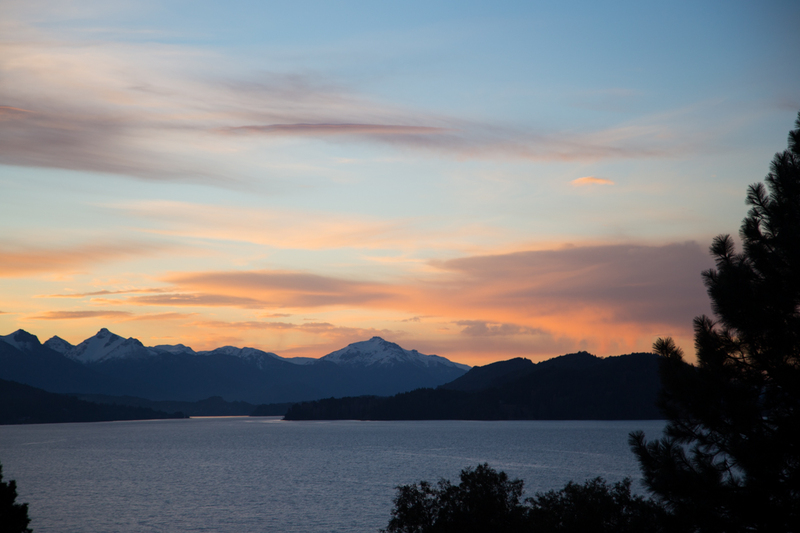 That evening I relaxed at my hotel, La Luna, and reflected on what an awesome time I had in Bariloche, meeting amazing people and taking in the sights at such a gorgeous place. 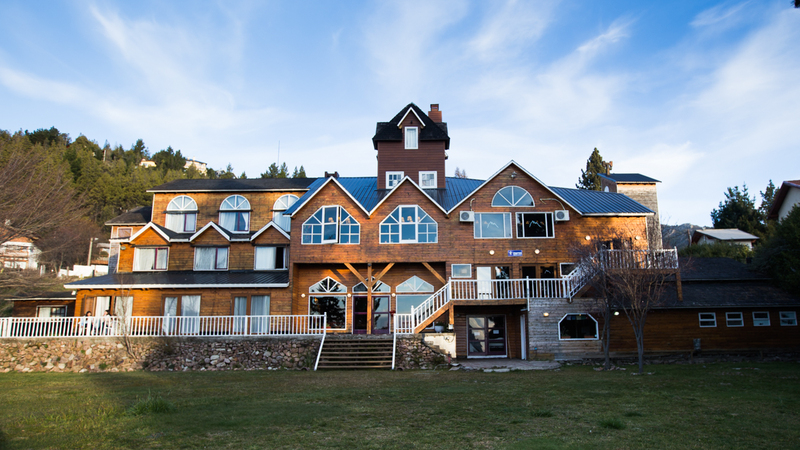 I have no doubt that I will one day return to Bariloche! One thing I have to say about buses in Argentina & Chile: they are awesome. Obviously buses are slower than flying, which for an American spending their 2 weeks-a-year vacation in South America makes them a poor choice, but the plus side is they are cheap and really comfortable and perfect for someone where time is less of the essence. 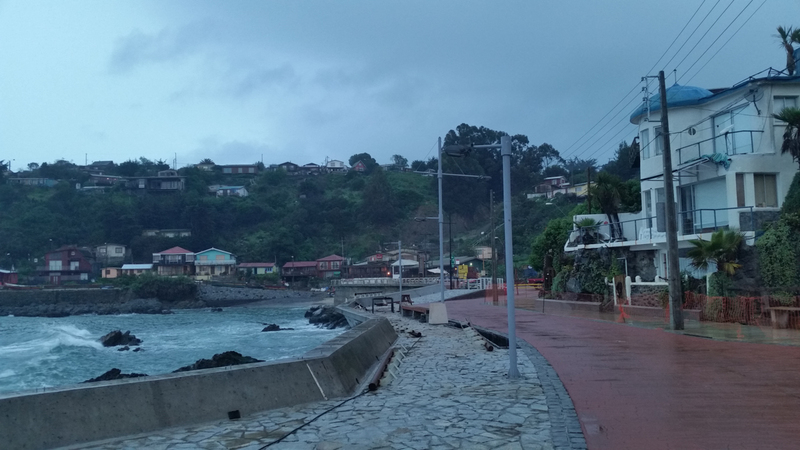 I spent just over $20 to get to Osorno and during the ride made the decision to head to Viña and meet up with Matti instead of journeying to Chillán via 3 more bus rides. This seemed to me a more simple and relaxing plan, plus I’d get to spend more time with Matti. 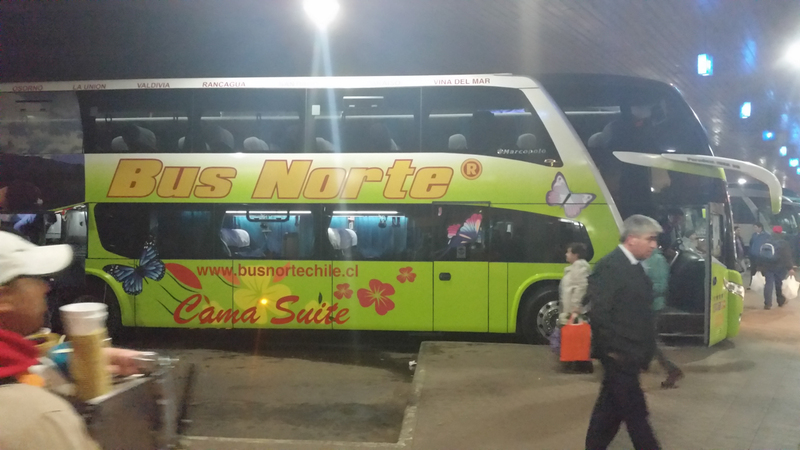 My subsequent bus ticket to Viña de Mar was a whooping $37 for a cama seat (cama means bed and implies the seat fully reclines). Of course the entire journey took about 24 hours including a 8 hour “layover” in Osorno, but the price was right! The Chilean / Argentinian border. It was amazing how the landscape transitioned to much greener and more lush as soon as I came into Chile. Some really cool valcanoes around here too. This guy made sure nobody was sneaking drugs across the border. He seemed more interested in chillaxing though. The public square near the mall in Osorno. I never saw anything like this in Argentina. Malls are more a feature of countries with strong capitalist economies, I guess. One other tidbit about travelling internationally that is a relatively new development and worth mentioning is how easy modern cell phones enable connecting with people and finding your way around a foreign nation. Before leaving on my trip I bought a Samsung Galaxy S5 unlocked phone. That it is unlocked is key because it enables me to go to new countries and just plug in inexpensive pre-paid SIM cards, which gives me a local cell phone number and data access! Having a local number is more convenient and way, way cheaper than dealing with international roaming. Firstly, people in the country you’re visiting can text and call you with no problem whereas they won’t make an international call to your US number. Secondly, its much, much cheaper: in Argentina I spent a total of about $20 for the entire month and with no problems was able to use 10MB per day of data. I made calls to hotels and sent texts to people I’d met. The first stop Donna and I made in Argentina was to the cell phone store and once I got to Osorno I ditched my Argentina SIM card and bought a Chilean SIM and plan for $10 so now I had a Chilean number and 200MB of data to use for the next 15 days! The convenience is amazing — I’ve been using Google Maps to get directions and pinpoint my location while on the road, I’ve sent texts with locals to meet up at surf destinations, and I’ve been in constant communication via WhatsApp with Donna (in Shanghai) and Matti. Also the coverage, especially for data, has been surprisingly good and speedy throughout all the places I’ve been so far. Furthermore, international calling is no problem anyplace with halfway decent Wi-Fi, just use Skype and pay nothing to call other Skypers and about like $0.02/minute to call normal phone numbers anywhere in the world. All of this would have not been easily possible 8 years ago when I was last backpacking around the world and it is a development I really like! The journey was uneventful. I spent my layover in Osorno getting my Chilean phone number and then in typical digital nomad style: relaxing at a coffee shop with Wi-Fi and outlets. Before I knew it 24 hours had past and I was getting picked up at the bus station on Friday morning in Viña del Mar by Matti and Berner. 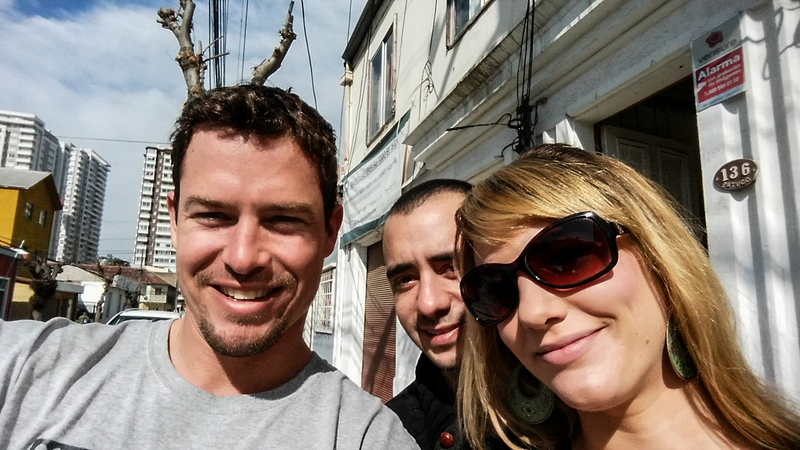 This was my first time meeting Berner, Matti’s husband of ~3 months, and my first time seeing her new life in Chile. For those of you who don’t know, Matti is my first cousin on my dad’s side (daughter of my dad’s sister Anneleis) and she is Dutch, having lived in Utrecht for most of her life. Matti met Berner about a year and a half ago because they both worked at the same restaurant in Holland as chefs. Yes, they both cook awesomely well and I’ve been eating like a king since arriving here! Berner is culturally Dutch and has lived in Holland his entire life, but both of his parents are from Chile and much of his extended family lives here in Reñaca. 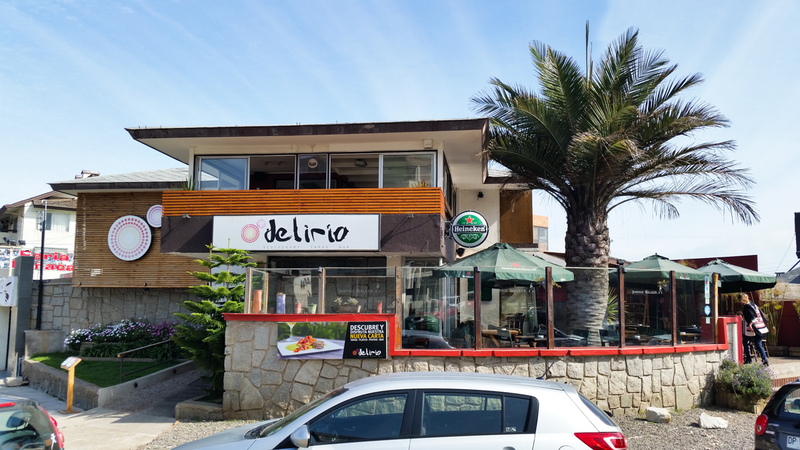 Shortly before starting to date Matti, Berner and his brother Mattías, who like Berner had lived in Holland his entire life, took the opportunity to buy into a family-owned restaurant in Reñaca called Delirio. 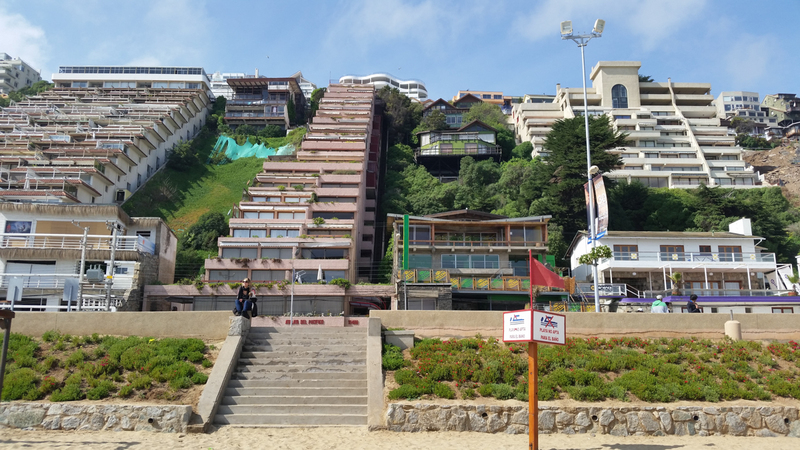 Reñaca is an upscale, beachside, tourist town just adjacent to Viña del Mar, which is just adjacent to the larger port city of Valparaíso, which is about an hour or so from Santiago. 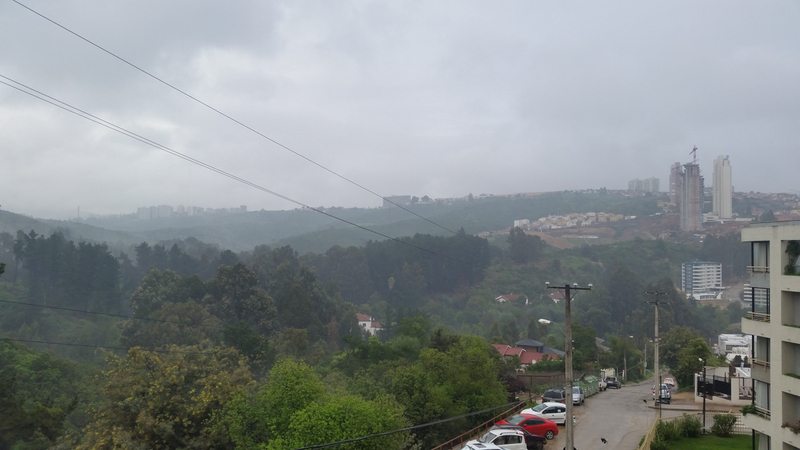 The landscape in Reñaca reminds me of southern California, with green hills dotted with condos and homes and a nice whitesand beach with good surf. Upon buying into the restaurant, Berner first moved to Chile and then Matti followed him about 3 months later and within a year and after some visa issues, they got married. Renaca has the look and feel of a SoCal town like Laguna Beach. The view from Matti’s apartment balcony. There is a good surf spot at the north end of La Playa Renaca. This is the restaurant that Berner and his brother Mattias bought into and are now running. Matti has adjusted quickly to Chile within the 7 months she’s been and here and her Spanish is already way better than mine. Since getting a job seemed out of the question (restaurant worker jobs pay very little in Chile), Matti and Berner decided to open a to-go sandwicheria right next door to Delirio. They are calling the place “Matti”, which I think is a good name as it lends personality shop and is easy for Chileans to pronounce. The plan is to sell sell a variety of high-quality lunch items and dessert items to the affluent and increasingly health conscious local populace. 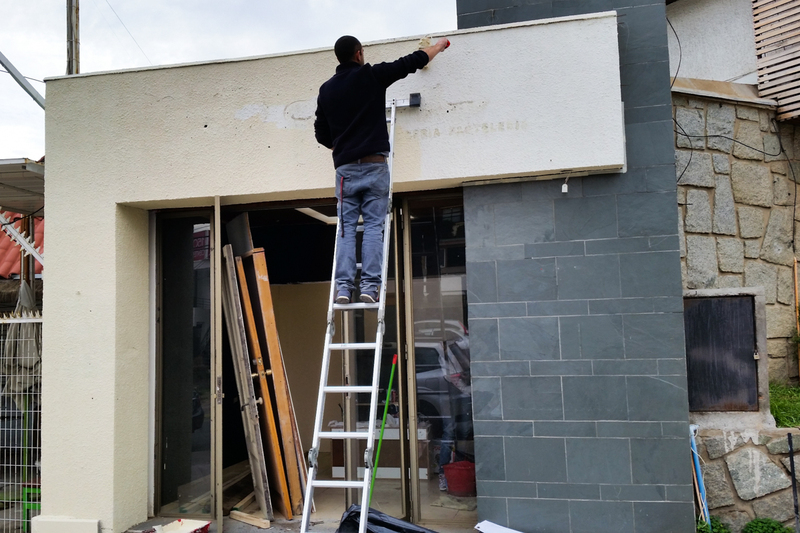 Matti noted to me that these kinds of establishments are already sprouting up in Santiago, so she is extrapolating the trend to the Reñaca and expecting that there will be demand for high quality foods amongst the tourist, well-to-do residents, and blue collar workers of Reñaca. 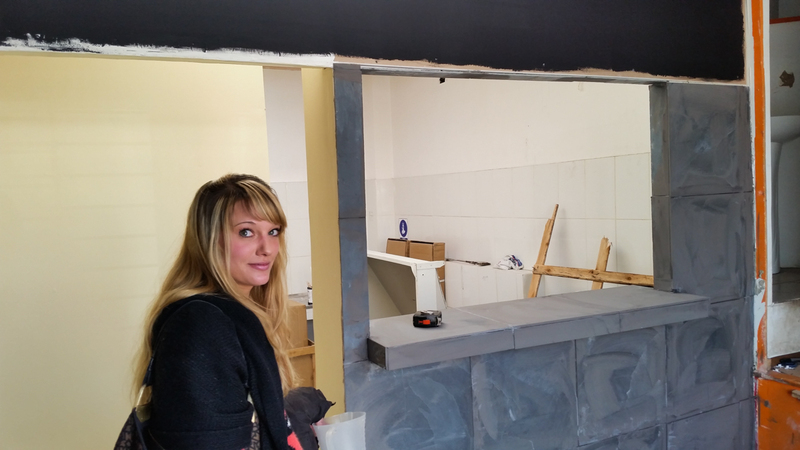 The sandwicheria is not ready for business yet and both Matti and Berner have been working everyday to finish the remodel and they plan to open the doors by mid-September (right around when I leave, bummer!) I’ve had the tasty job of helping Matti test some of the new dulces (desserts) that she is going to sell at the new restaurant. Luckily I’ve been completely able to self-entertain while they work, exploring the coast for good waves! I find it very admirable what they are doing; I hope to one day be an entrepreneur and build something from scratch, and here is my younger cousin, taking a huge risk moving to a foreign country where she doesn’t even speak the language and starting her own business. I wish her and Berner the best of success and from what I can tell they will find it! 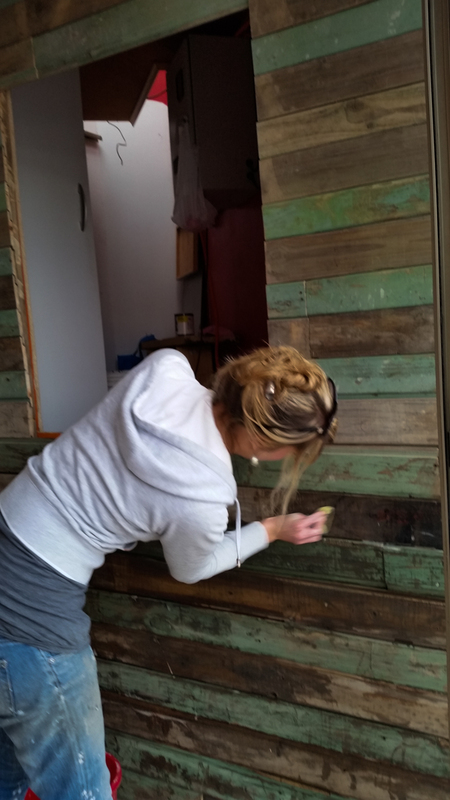 They used salvaged wood for one wall in there shop and here Matti is cleaning it before applying a finish. 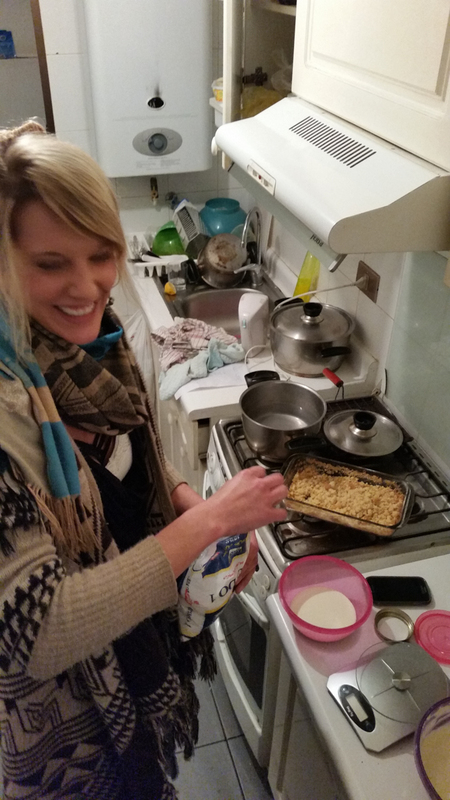 Matti whipping up desserts for testing purposes. I was stoked to be a taster! 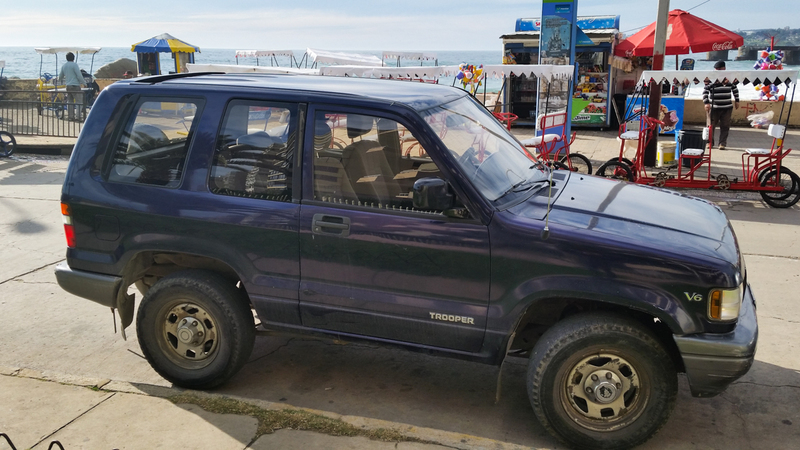 This is my whip in Chile. Not bad for $23 per day! A view towards the north and Renaca from central Vina del Mar. One evening Matti and I headed to Valparaíso to get a have a nice dinner. 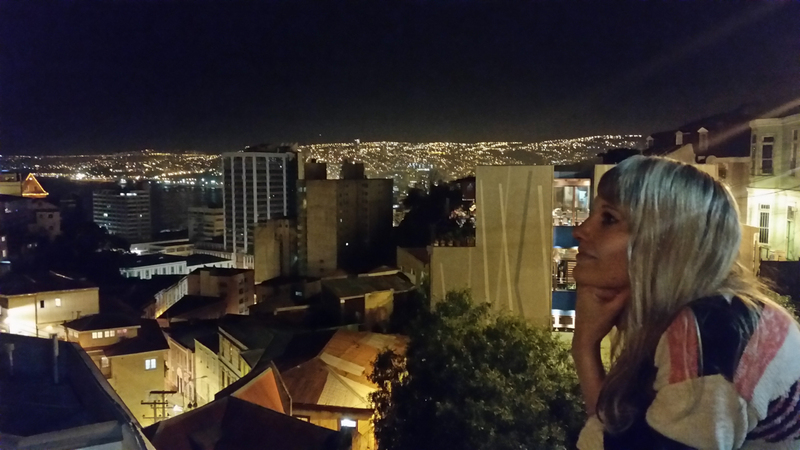 I knew nothing about the city, but we landed in a pretty cool neighborhood called Cerro Alegro. 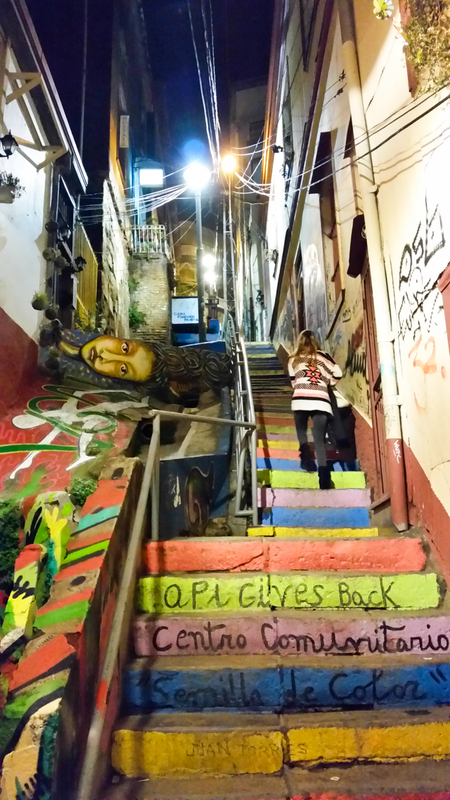 Valparaíso is a city of hills and this particular hill had a very Bohemian feel to it, a destination for artists with many shops selling artwork and a number of cute restaurants all connected via a maze of cobblestone streets. Matti and I got lost for a bit walking around in the labyrinth of cobbled alleys decorated with colorful murals. The food was only so-so; Chile is simply does not compare to neighbor Argentina in the culinary arts. 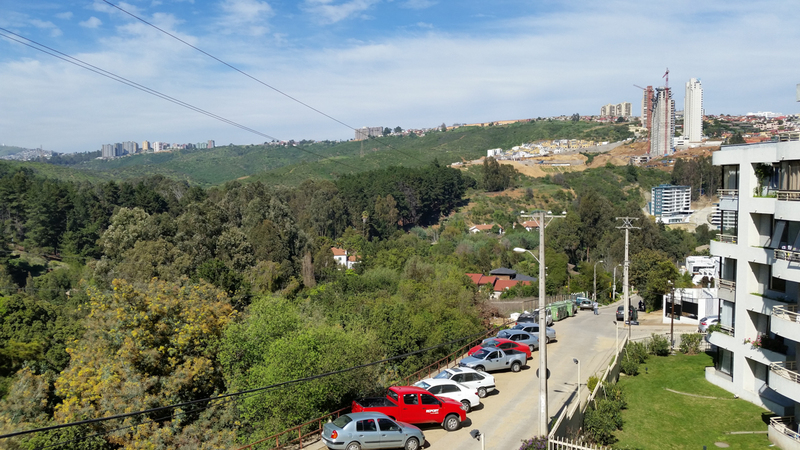 Valparaiso is a city of hills. This is the view north from Cerro Alegro. The more typical weather during the bulk of my stay in Renaca thus far. 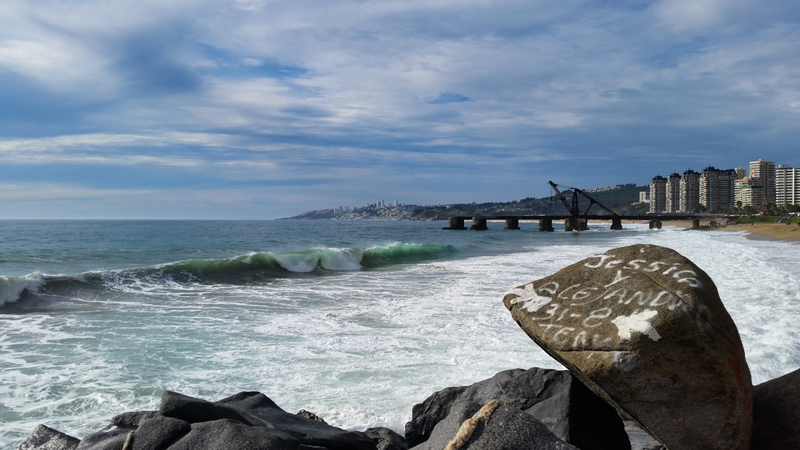 We took a roadtrip to a small seaside village called Quintay south of Vina del Mar where scuba diving is a common activity. Two nights ago (as I write this on the morning of Friday, September 5) was the 3-year party for Delirio. What was noteworthy for me was the many compliments I received on my functional Spanish. I’m definitely very gringo when I speak, but as I was meeting many friends of the family of Berner I was completely able to having meaningful conversations. It felt good! Also it was great to meet the many new people who make up my new extended family, I already feel very connected here in Chile, which is a great country rich in opportunities for both adventure and business! Finally, last night Berner, Matti and I went back to Cerro Alegro in Valparaíso to eat at Samsara, the Thai restaurant Matti and I meant to try the previous time but couldn’t because they had no tables for us. The food was pretty good, although surprisingly Chile doesn’t like spicy food, so the curry sauces were overly sweet compared for my liking, but it was still very good. I’ll finish with the below picture of Matti and I. Today I take off on a Chilean road trip to look for surf and snow. 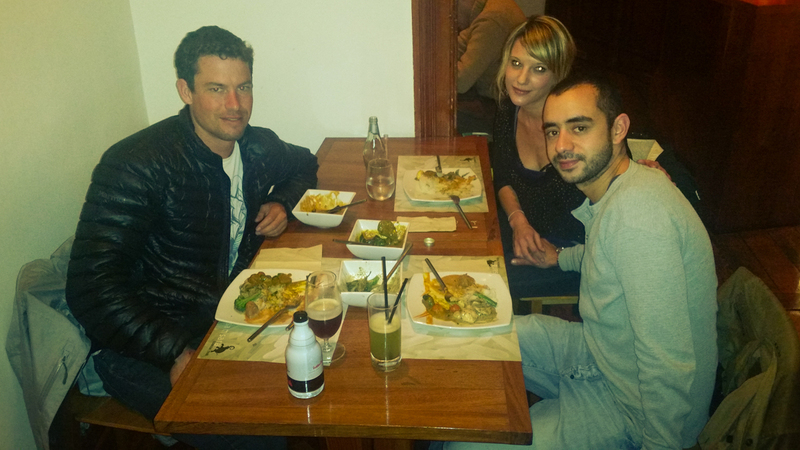 We had a nice Thai dinner at Samsara in Cerro Alegro.